Do you know your numbers when it comes to electronic and electrical waste? The numbers involved in dealing with electronic and electrical waste are staggering. Globally, we generate more than 41 million tonnes of e-waste each year, a report in 2014 found. That is expected to rise to around 50 million tonnes this year, the United Nations University says. The UK alone generates 2 million tonnes of electronic waste in a year. The Environment Agency calculates that waste crime – the deliberate mishandling of electronic waste – takes as much as £1 billion from legitimate waste businesses and the Treasury in taxes. Waste is often illegally sent to developing countries in a black market estimated to be worth £14 billion a year worldwide. There, it is often burned, releasing toxic fumes, or buried in landfill. Read more about the threat from illegally handled e-waste here. Why is so much electronic waste produced? Many electronic gadgets have a built-in obsolescence. In other words, they are created with a view to being obsolete within a few years. This happens because technology is changing at a fast pace, and new innovations are constantly being brought into the marketplace. Take the mobile phone market. In the past few years, we’ve seen better phone cameras, new innovations when it comes to shooting and storing video, assistants such as Siri and Cortana added to software, more capability to deal with apps, improvements to phone batteries, and better speakers for playing music or listening to podcasts. It’s now possible to shape some phones and wear them around our wrists, such as the Samsung Galaxy X, thanks to innovative new materials being used in their production. So, producers have brought out up-dated versions of their phones or created whole new lines. What can happen if e-waste is not handled correctly? Mishandled waste can pollute the soil and water courses, add to greenhouse gases, help deplete the ozone layer, and can have a devastating impact on human health because of toxic radiation or toxic fumes. Electronic waste can contain dangerous chemicals such as nickel, mercury, and cadmium. Who is responsible for dealing with it? All retailers – in physical stores and online – must provide a way for their customers to dispose of old domestic electrical and electronic equipment when they are sold new items. They must either provide their own take-back service or join one created by distributors. Find out more here. Producers of electronic and electrical goods must register every year and take on the responsibilities of a distributor if they sell directly to the public. They must also provide information on environmentally sound treatment of the products and their components and keep records for four years. Find out more here. How do you choose the right company to handle your electronic waste? Experience – Look for a company with a track record in dealing with electronic or electrical waste items, such as Inspire Waste Management. They will understand the complex rules associated with it and help you ensure your waste is correctly categorised. Registration– Ensure the WEEE carrier is registered with the proper authorities. In England, that’s the Environment Agency, in Wales, Natural Resources Wales, in Scotland, it’s the Scottish Environment Protection Agency, in Northern Ireland it’s the Department of Agriculture, Environment, and Rural Affairs. Destination– Ensure your carrier is taking the WEEE waste to a facility which is licensed to recycle it, and that they will provide you with an audit chain for your e-waste. Do you need advice from our Inspire Waste Management experts in dealing with electronic waste? Call us on 0800 002 9282.
https://inspirewaste.co.uk/wp-content/uploads/2018/06/INSPIREEWASTEcomputers-814257_960_720.jpg 720 960 Inspire-admin https://inspirewaste.co.uk/wp-content/uploads/2018/10/inspire-c-waste-e1540324531728.png Inspire-admin2018-06-29 09:26:322018-10-23 18:57:47Do you know your numbers when it comes to electronic and electrical waste? Did you know that reviewing the options for waste disposal in hotels could save you money and make your business more sustainable? Why is it so important that my business gets hazardous waste removal right? 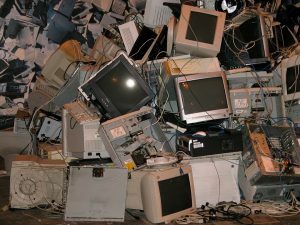 Is your business ready for 2019’s new WEEE waste removal targets? 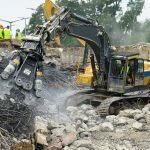 Is asbestos a headache on your construction project? 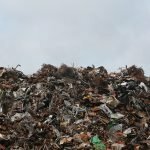 It’s time to call in... What is a waste management consultant – and why do I need one?